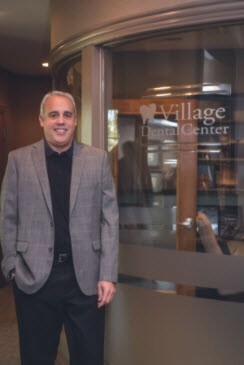 Dr. Marc Kaplan, DDS has been practicing Dentistry for 25 years in the Lake Zurich area. He graduated from the University of Illinois in Champaign-Urbana. Following his undergraduate studies he attended the University of Illinois College of Dentistry. Upon completion of his Dental degree, Dr. Kaplan was chosen from a large pool of candidates to take part in post-graduate training at Illinois Masonic Medical Center for a residency in General Practice Dentistry. Since that time, Dr. Kaplan has never stopped learning and is constantly studying to stay up to date in the cutting edge treatment approaches. Dr. Kaplan has taken part in extensive continuing education to further his expertise in many phases of Dentistry, including; cosmetics, occlusion, and implant dentistry. Dr. Kaplan’s philosophy is simple: treat all patients as if they were members of his family. Many of his patients can attest to the benefits of this philosophy and are willing to travel long distances to see him, with some patients traveling from as far away as California and Alaska. When not working with patients, Dr. Kaplan likes to travel, play hockey, and spend time with his wife and two children.